Get a quick overview of the scholarship process by viewing this video. The following questions and answers are based on “A Burning Question” special sections in Winning Scholarships for College. How can I get more help with finding scholarships? When are interviews required for scholarships? Can I recycle scholarship essays? Why is the PSAT such a big deal? When should I take it? If I take the PSAT, what score will definitely win me a scholarship? When should I start preparing for the SAT or ACT? What if I can’t afford the fees for the SAT and the ACT? Why are credit cards a bad idea for funding my education? When is the best time to start your scholarship search? When are most scholarship deadlines? My counselor says since I’m a junior that I should wait until senior year to take the SAT and the ACT. Should I wait this long? Can you start your scholarship search too early? Can you start your scholarship search too late? How many scholarships should I apply for? What if I don’t have financial need? Can I still win scholarships? 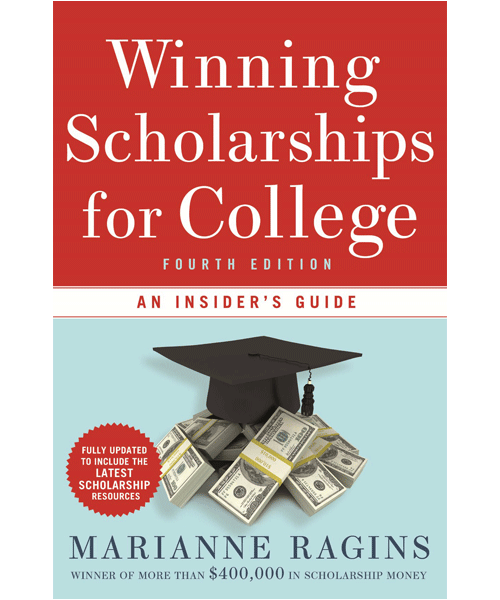 To get additional help finding scholarships, see this page or consider one of our online classes for help from Marianne Ragins, $400,000 scholarship winner. Do you have any scholarship advice for students? Visit our Scholarship Advice for Students page to learn more about the scholarship process. Interviews are normally required for the largest scholarship competitions that award the most money. One example would be a full ride scholarship. Some colleges and universities may also require an interview as part of their scholarship and award process. For smaller scholarships, usually for $2500 or lower, you probably will not have to interview. If you have already written general essays about your future career goals or to describe yourself, there is a good chance that you can use parts and pieces of these essays in most of the essays you write later. Marianne Ragins recycled portions of several essays in her winning scholarship search. For smaller and community based scholarship programs and some college and university applications, you may be able to choose your own essay topic. If this is the case, you can reuse previously written descriptive essays about you, your interests, or your career goals. For many scholarship programs you can’t actually apply until you are a high school senior. However there are some that you can apply for in your junior year or before. It is important to know the requirements and deadlines when applying for college scholarships. The most important thing you should remember is to be prepared to submit applications early in your senior year by doing most of your research as a junior or during the summer before your senior year. And, don’t ignore scholarship and award opportunities as a 9th, 10th, or 11th grade student. Scholarships available to you in these grades are identified in Senior Year Head Start and in Winning Scholarships for College. Do not wait until spring of your senior year. Start as soon as senior year begins if you haven’t started before!!!!! You can even start researching scholarships as early as ninth grade since there are some you can win as a freshman, sophomore, or junior. For those that require you to be a senior, request applications early and look carefully at them. Doing so can you help you see areas the scholarship programs emphasize. It could be grades, certain extracurricular activities, test scores, or community service. On the other hand, they may focus entirely on the essay. See if you can get information about past essay questions and winners. If the essay questions only change slightly each year, you can begin to work on your answers years ahead of time. If they focus more on community service, that’s an area you can also start to work on by starting to participate and help out in your community. If you’ve gotten beyond the 9th or 10th grades, you should start intensive scholarship during your eleventh grade year. 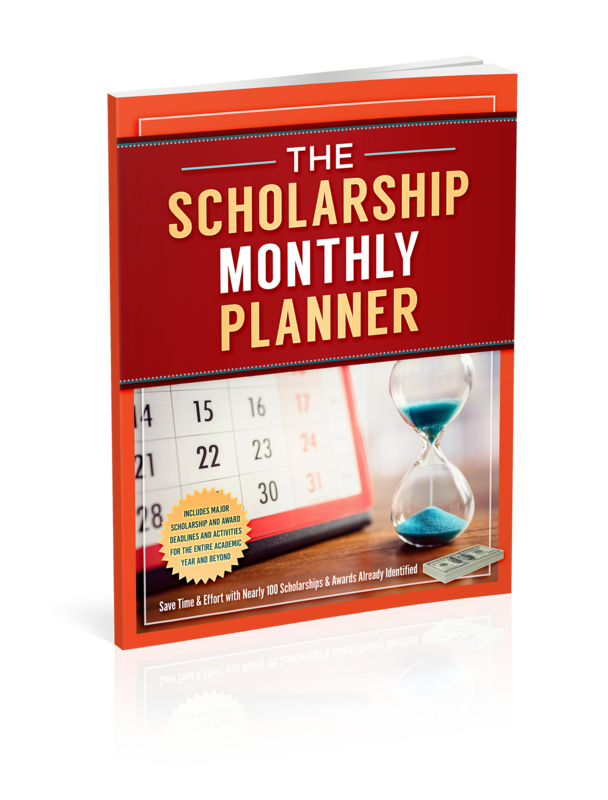 Many of the largest scholarship programs have deadlines early in a student’s senior year such as October or November. If you’re a senior who hasn’t already started your search this period could make you frantic. So, researching and getting applications before your senior year begins will give you time to focus on submitting an outstanding application and more time to enjoy all the fun of being a senior. For the largest scholarship programs that award the most money, for example, $20,000, $40,000 and up, the deadlines will occur early in your senior year. This means that you should be prepared to start submitting applications in October, November, and December of your senior year. If you wait until March, April, May or later, the scholarship amounts start to get smaller and by the end of spring many deadlines will have passed except for some small community based programs. If possible, you should take the SAT late in your junior year. Doing so will give you an opportunity to assess areas in which you didn’t do well and possibly take improvement courses or use preparation books to help increase your score. This will give you time to retake the test early in your senior year and have scores ready to send to colleges in which you’re interested. On the other hand, if you do well the first time you take the test in your junior year, you can relax all during your senior year knowing that one major task is behind you. Since the ACT assesses more of what you have actually learned in high school, you may want to wait until senior year to take it. To get a better idea of whether you really should wait, take one or two of the practice actual ACT tests. If you do well, then proceed with taking the ACT as a junior also. Starting your research before you get into high school may be too early for some. However, if you do, you’ll have a great database to start with as a senior. You can also prepare yourself early by starting to participate in activities that interest you and that you will continue to pursue in high school. You can also take the PSAT early to start preparing for October of eleventh grade when it will really count for scholarship consideration. Or you might even decide to take the SAT or ACT early. For students who participate in certain Educational Talent Search (ETS) programs, taking the SAT during your seventh grade year could win you a one-course summer scholarship at participating universities such as Duke or John Hopkins. Yes. If you’re hoping to win a full ride scholarship, late spring and early summer of your senior year is too late. Scholarships are still available at this time and may be easier to win, so they shouldn’t be ignored but the amounts you can win will be smaller. All hope isn’t lost though. You can still win scholarships if you’re already enrolled in college. Yes. 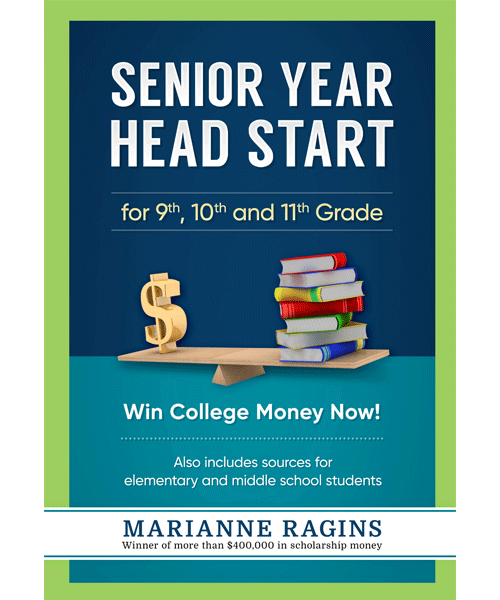 You can still win money for college, especially merit based scholarships. In addition, the amount of your financial need will really depend upon the institution you’ve decided to attend and/or the organization to which you are applying. Don’t assume you don’t have financial need until you investigate further.